Many Marvel NOW! titles were designed as fresh starts, but Young Avengers is a necessary exception. Numerous delays in the production of both the original series and the Avengers: Children’s Crusade mini-series have kept the Young Avengers from reaching their full potential. 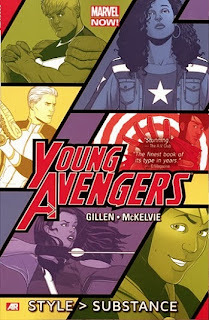 A major reboot would have only made things more confusing, and Kieron Gillen spends little time introducing the characters under the presumption that readers probably already know most of the cast of Young Avengers Vol. 1: Style > Substance. Even though the history of the Young Avengers doesn’t get fully fleshed out, enough clues are given by their characterizations for the reader to understand that the team is not in a good place. Officially, they’ve disbanded and promised to retire after the deaths of various members in Children’s Crusade. Just about everyone on the team has someone to mourn; this becomes a problem when Wiccan apparently resurrects his boyfriend Hulkling’s dead mother and accidentally summons an interdimensional parasite. Wiccan and Hulkling are the heart of the team in all of its incarnations, and they drive the opening arc as its main characters until the group can fully gel. The team can be broken down into three couples, although only two are romantic. The second dating couple after Wiccan and Hulkling are Kate Bishop and Noh-Varr; the latter insists on being called by his given name after taking and dropping “Marvel Boy,” “Protector” and “Captain Marvel.” Kate is basically in sync with her portrayal in Hawkeye as the team’s sassy and confident archer. Exactly how the two titles work together timeline-wise, especially given the trade’s ending, hasn’t quite been explained, but Kate relocating to the West Coast will likely solve the issue. Noh-Varr is enchantingly alien and obtuse; he’s obsessed with Earth music and culture thanks to the influence of Kieron “Phonogram” Gillen, but given the hell he’s been through, he deserves some positive character development. Loki and Miss America form the third “couple” and are the first characters the reader encounters in the trade. A bit of warning: Young Avengers spoils the ending of the Kid Loki arc from Journey Into Mystery, and while too many details aren’t given away, it does take away some of the surprise. “Kid” Loki is no more; the old Loki persona has taken over the younger body, leading the spirit of the younger incarnation to converse with the older one in a manner similar to Otto Octavius and Peter Parker in Superior Spider-Man. Miss America, my new favorite Marvel character, deserves her own paragraph. She debuted in Joe Casey and Nick Dragotta’s Vengeance, which introduced more teen heroes during the delays in Children’s Crusade. America Chavez’ origins are hidden in secrecy -- how did her two mothers die scattered across the multiverse? -- and she’s on-hand primarily to keep Loki from stealing Wiccan’s powers. It’s great to see a superhero who’s a person of color but who doesn’t have their abilities revolve around their heritage. Her effectiveness in battle and snarky commentary make her one of the book’s stand-outs. Additionally, her costume reminds me of Stargirl, and while Courtney Whitmore has appeared in the New 52, I still pine for what she once was. Gillen uses “Mother,” the aforementioned villainous parasite, to drive home some of the central themes of this incarnation of the Young Avengers: the relationships between teens and parents and the transition into adulthood. Adults are blind to Mother, as Wiccan and Hulkling witness when they flee to Avengers Mansion (a scene which pays homage to the team’s earliest days, when they operated out of the then-abandoned building). 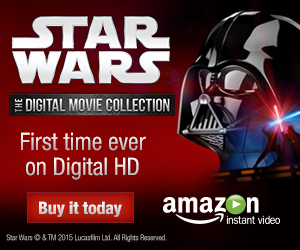 Parents all fall under her control so that normal adults will jump out of windows onto spaceships to do her bidding. In her mind, Mother is doing the right thing by wanting to control the life of her son, his boyfriend, and their friends. She’s even a bit sad when she decides that the final step will have to be absorbing their souls. Unlike the Teen Titans or even the Runaways, the Young Avengers feel like “real” teens in how they act. These are kids on the cusp of eighteen and they’re trying to make something of their lives. Many on the team are orphans, and they must confront Mother’s facsimiles of their dead parents almost as a form of therapy. At the end, they’re forced to run away and stay apart from adults in order to keep Mother in check. Wiccan in particular is forced to leave the parents who love and support him and Hulkling. Jamie McKelvie’s art has received numerous accolades and rightly so. Much like its sister series, Hawkeye, Young Avengers doesn’t hesitate to demolish normal panel layouts. Wiccan and Hulkling get imprisoned in what seem to be blank panels, and Loki frees them by quite literally breaking the third wall. Noh-Varr and Kate are introduced in a dynamic sequence of quick panels and captions. The absolute pinnacle of the collaboration between Gillen, McKelvie, co-artist Mike Norton, colorist Matthew Wilson, and letterer Clayton Cowles is a two-page spread using footnotes and a floorplan to explain an epic fight scene. One failure of the trade is the loss of the recap pages. Most recaps are unnecessary; even the funny ones, such as the Deadpool pages, suffice as extras. But the recap pages in Young Avengers take the form of expertly-designed Tumblr pages, complete with fake user names, article tags and “links” to other blogs. These do more than just retell events; they set the mood and reinforce the book's timeframe. Some of the jokes (such as Loki referring to himself as “Tyrion” from Game of Thrones) might not make sense in a few years; the Tumblr gags might end up equivalent of MySpace references. But Young Avengers: Style > Substance is a unique book and a worthy continuation of these kids’ stories. Next week, with Thor: The Dark World storming into theaters, I’ll take a look at the finale of Walter Simonson’s run on The Mighty Thor.